Ever since seeing her mothers Levi’s with that iconic patch on the back waistband Sophie has been obsessed with clothes. 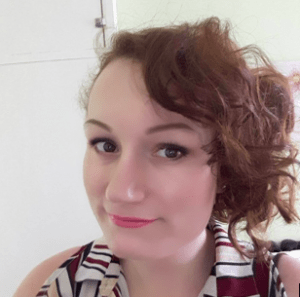 Now a freelance fashion writer she splits her time between searching new trends and breaking them in to make them wearable for us mere high street mortals. We all know how hard/sad it is when we have to transition from a summer wardrobe into an autumn and then eventually a winter wardrobe and vice versa (hey I love winter so I’m in the latter category), but imagine having to transition your wardrobe for a different county and not just for a holiday, for half the year. Every year. 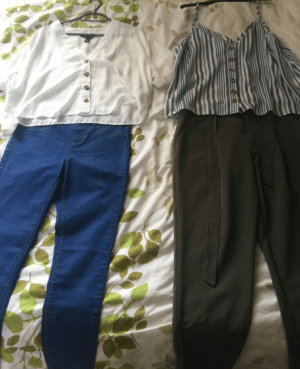 It may sound like a dream and in many respects, it is but the hassle of an ever-expanding wardrobe and the conundrum of what you actually need is not. I know, I know, who knew having lots of clothes could be so much trouble!? By August you can say our UK summer is almost over, but other countries are much luckier and if you’re one of those blessed enough to miss our winters (or summers!) then perhaps these tips will help you achieve a more compact, travel friendly wardrobe. 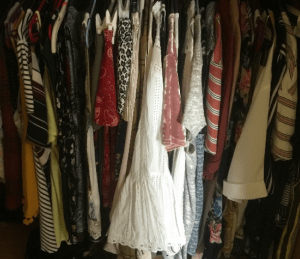 The best place to start is to assess your wardrobe, as a shopaholic myself I need to have my wardrobe(s) organised, different items for each season in each department – don’t worry it’s a lot easier than it sounds. I keep all my dresses in one. With skirts in one corner of another and summer tops and blouses behind. 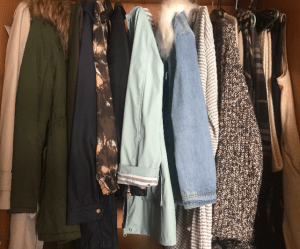 My top tip is always to keep seasonal items (such as coats and jackets together) – Making pulling outfits easier to find. Empty your wardrobe (and draws)! Anyone traveling regularly will more than likely have a greater number of clothes than the average person, from shopping in more than one country to having more weather worthy needs, it’s best to start with a clean slate when you’re switching from seasonal wardrobes regularly to figure out what you actually do and don’t need. This is also a fantastic time to start a donation pile. Or, if you have a lot of name-brand clothing, you may want to set aside items that you could sell to a local re-sale store or put up for sale on Ebay, or Mecari. Now the hardest bit and yet the most important! You can’t keep clothes you don’t wear, they take up unnecessary space and you simply don’t need them. Don’t panic you don’t have to throw everything out, you can store clothes to save wardrobe space, in either a spare room or a professional storage centre (although, I would have a think if you have that many items). Also consider if you spend half your time abroad (I’m talking have a house, family etc where you can keep items) then keep that countries weather friendly garments there – you can always add and take away according to trends and styles. Ask yourself – do you wear it; does it serve your wardrobe a purpose? If the answers are no – throw it. One pair of trousers and a pair of jeans will see you through from causal to evening, warm or cool weather. Two formal(ish) shirts will go with anything and are great for mixing with trousers, shorts or skirts. Adding in a denim skirt along with a pair of vintage denim shorts will see you through the summer season, mix and match with some basic light-weight tee’s for a different look each day. Dresses or jumpsuits can be worn formally or casually and give you a finished outfit without having to pick multiple items. and finally, shoes! 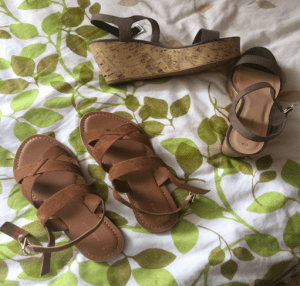 Whether you want to swap a pair of sandals for shoes (depending on the weather) 2 pairs will do – a pair for everyday and another for evening wear. 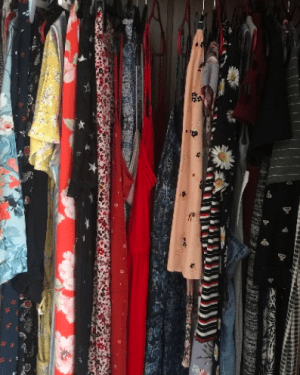 Many people have switched to capsule wardrobes—a wardrobe usually comprised of 40 or fewer versatile garments and shoes (bear with me!) The minimalist approach to a seasonal wardrobe will help you declutter your closet and make not only getting ready for travelling, but even just simply getting ready in the morning a lot easier. I’m talking an equal amount in clothes for each season you’ll be living in. Now go and don’t forget us Brits when you’re in your co-ords and we’re in our boots! Alternatively for daily updates you can follow her on Instagram, Facebook and Linkedin. love this! I constantly clear out my wardrobe and get rid of things if I’ve not worn them for a few months. My handy tip is if your not sure, pop them in a drawer and if you don’t go into the drawer to get them out , then you don’t need them anymore! oh, that’s a great tip! my problem when tidying my wardrobe is “I wonder if I’ll need this in the future!” even though I might not have ever worn it! I’ve started to be more strict with myself lately though – if I don’t give to charity I try to sell them on to another loving home where they’ll actually be worn! Yeah, I really need to go through my wardrobe again soon! It’s so easy to accumulate stuff, isn’t it! So easy!, I’m guilty of having 4 wardrobes with numerous amount of clothes with the tags still on! but I’m working my way through!